We're back! Hope you all didn't miss us too much last week while we were away at MAGFest. We had a great time hanging out with MC Gamer, GreatScottLP, and MANY other musicians and non-musicians alike. It was a good thing we brought our recording devices, because we got a lot of awesome content we'd like to bundle up and share with you soon. If you haven't thought about going to it, we cannot recommend it enough. There's nothing else like it. This week we're trying something new. Rather than just post a text interview with our featured artist, we decided to try out an audio interview which you can find below. Our featured artist is none other than Rebecca Tripp! Rebecca has been making music and uploading it to her YouTube channel for years now, so it's about time we shared it. Check out the interview if you're curious to hear her thought processes and musical influences! We've also provided a transcript of the interview. We've been following your work for quite a while now, but when did you first start getting into music production? How has your YouTube channel shaped you musically? Rebecca Tripp: I started getting into the production side of things about four years ago, after I started to get slightly better at using VSTs. Originally my work was mostly just MIDI. I had about 700 of them just sitting on my hard drive and I realized that I needed to do something with them. Once I got YouTube, I started sharing my work wherever I could. It took about two years before I started getting many people to notice my work, and I realized that cover songs would be a fun thing to try, and started composing arrangements of stuff from my favorite video game soundtracks. Getting more views has given me the confidence to share a lot of the work that I was just keeping on that hard drive. That being said, there's still hundreds of songs I have yet to show anybody. We notice you've done a lot of celtic-inspired Zelda arrangements -- something that we don't see all that often. Is that a favorite style of yours, and what other music styles have influenced your work? Rebecca: Celtic music has definitely inspired me. I listened to a lot of it growing up and I think it sort of comes slightly more natural to me than some of the other genres for that reasons. I've definitely been inspired by video game music as a genre also, so much so that when I do covers of songs from one game, there's sometimes influence from the soundtrack of another game. Final Fantasy probably influenced me more than anything. Some of my Zelda remixes kind of have a Final Fantasy feeling about them, along with games like Secret of Mana and Chrono Cross. I also listen to a lot of world music and classical music. I try to make my cover songs sound more natural, dream-like, and elaborate, which is sort of a result of all of these influences mixing together I think. 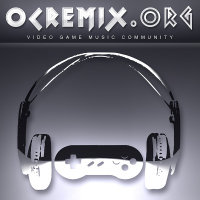 Your channel also features a lot of music from other games, as well as original compositions. What parts of the creative process are different between composing original music and arranging video game music? Rebecca: I have a fairly even mix of both on my channel. I have about 5-ish techniques for creating everything I do, all of which can apply to original music as well as remixed music. I think that the most consistent difference is that the melodies and the harmonies of video game music already exist, so the challenge is more in finding a way to present or represent that lots of other people already know. With original music, there are no rules or restrictions. I can write whatever I want in any way I want. With my covers songs, however, I prefer to try to preserve the spirit or the soul of the original piece, while simultaneously presenting it through my own personal lens. I guess to sum it up, I do work very intuitively most of the time whether it's original or remix, but the way I think about the piece as I'm working on it is the main difference to my approach. Can we expect to hear more Zelda arrangements in the future? Rebecca: More Zelda songs? Oh yes, definitely. I'll never stop. Want your music featured in one of our music updates? Send us a link to it and we'll get back to you! Hey FriendsNone, good question! We employ a number of applications on our server to keep the station up and running, including icecast2, a very popular and robust streaming server, liquidsoap, an open-source stream generator which keeps the tunes coming, drupal, for our website management, and custom modules which we've created to add features like requesting, favorites, etc. If you're looking for something a little more out-of-the-box user-friendly, I'd recommend taking a look at SHOUTcast, which is in the same family as Winamp. For stream generation, I know there are some Winamp plugins out there that will enable you to stream whatever you're currently listening to in Winamp. Hyrule Academy season two premieres TONIGHT! 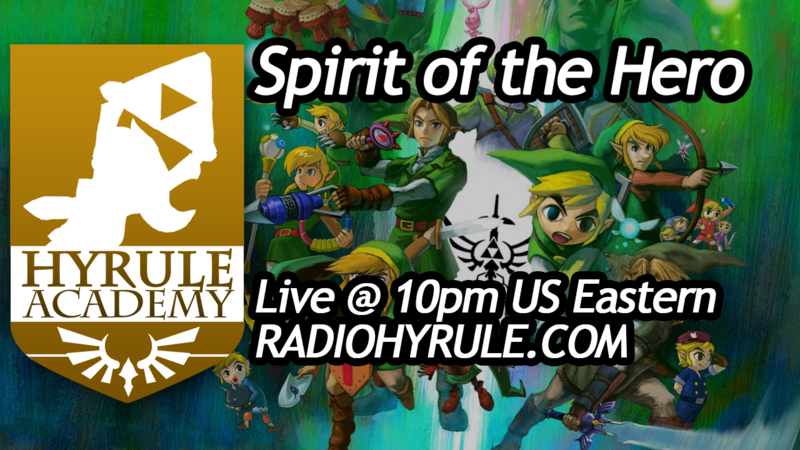 Don't miss the kickoff at 10pm US Eastern, right here on Radio Hyrule. One week until MAGFest! We've been working hard to make preparations for our pilgrimage to the annual game music festival, where we hope to meet a whole lot of artists and video game music enthusiasts. We won't be broadcasting live this year, but we'll be there representing Radio Hyrule anyway. Will any of you be there? 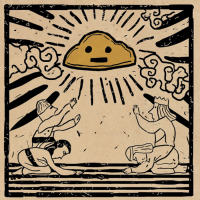 New music this week from OverClocked ReMix includes 4 tracks from Radio Hyrule newcomers Arth4da, Brendan Hannigan, DDRKirby(ISQ), Garrett Williamson, Redg, and Sir Jordanius. Be sure to catch these new tracks; you're sure to find a new favorite! I have been using your website for some time now, and really enjoy the variety of LOZ music that can be found. I know that there is an app for Apple products, but Android products are lacking one. 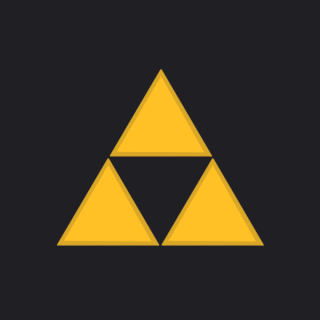 Are there plans for an android Radio Hyrule app at some point in the future? Yes, we're working on an Android app that will be out soon. We aim to release it in the spring. Two weeks until the new season of Hyrule Academy! Have a good weekend! Not much to add to this update that we didn't already cover in our State of the Station earlier this week. If you haven't read it, go check it out. Thanks for all of your feedback! This week, we're featuring a new electronic artist being added to our Radio Hyrule music library, Dreamwallow. He recently released a collection of remixes in an EP last month, which is available via iTunes, Bandcamp, Spotify, and elsewhere. This batch contains many long-time favorites, including Song of Storms, Dragon Roost Island, and Outset Island. Dreamwallow describes his music as "chillstep," which blends elements of dubstep with more relaxing elements of music (while keeping the powerful bass, of course). If you're not sure if you like the sounds of that, go on and give it a listen! I think you'll be pleasantly surprised. When will the radio hyrule gold membership start? Probably not officially for a few months yet. We're still working on building the features that the subscription system will require. If you've made a donation to Radio Hyrule in the past, you will get early access to the new features. We'll need help testing them to make sure they work! A new year is the perfect time for reflection. Today, we're taking a look back on our year and looking for ways we can make 2015 even better. Here are some of our plans and ideas for the coming months. The most requested track in our library in 2014 was Her Smile in Every Summer by Hot Freaks. It was requested 346 times. 10,925 listeners registered accounts last year. While many of those are likely spam, it's still enough to form a small city made entirely of Radio Hyrule listeners. If you started listening to all of the hours streamed in 2014 from when you were born, you'd be 66 years old by the end of it and have heard every song in our library 6,556 times. But enough of the numbers. Let's take a look down the road. We're going to MAGFest. There'll be a party. See you there! We're planning to show up at multiple other events later this year as well. Expect to see new changes coming all throughout the year. One of our biggest prides is being able to operate and maintain our radio station without resorting to advertisements as means of obtaining financial stability. (The old Nintendo ads we air on the stream are purely for enjoyment -- we're not making money from them.) We are able to thrive off the generous support of community donations and our own personal funds. It's time we start giving back to those who've supported us with their rupees. Monthly fee would be no more than $3/month. We'd like to begin rolling out the subscription features as we continue to develop our new website infrastructures. Those of you who have supported Radio Hyrule through a donation will be among the first users to try out the new features, perhaps while they are still in development. We'll let you know when they're available to you. Yes, it's coming. Soon. Sorry to keep you waiting. Last year, we unveiled our plans to create a new station similar to Radio Hyrule, Johto Radio. It will be a Pokémon equivalent to Radio Hyrule, featuring derivative music based on Pokémon themes. Johto Radio's website won't be made available until we've finished the new Radio Hyrule website, but we've already started building up a library of Pokémon music. If you've got a collection of tracks you'd be willing to share with us, please send us an email! We love doing what we do, and we can't wait to share all of the new things coming this year. Your input is valuable to us, and we're always listening to what you want as a listener. Thank you so much for your support! We'll be back on Friday with more new music. We've finally made it through the holidays! It's time to get back in the swing of things. Our 2015 State of the Station address will be coming to you on Sunday, rather than today (so we don't have to miss a Friday Update! ), so keep an eye out for that. As usual, we have a lot of plans for the year to come! Hey Kristin and Patti, thanks for taking the time to speak with us! I've personally been a huge fan of your music covers and videos for a couple of years now. How long have each of you been playing? When did you start getting involved with YouTube and/or arranging? Kristin Naigus: Aw, thank you so much! I've been playing oboe & English horn for 18 years, and started collecting my random assortment of woodwinds maybe 10-15 years ago. Soundtracks for movies and games have always been my favorite, so back in high school I would spend way too much time browsing VGMusic.com for MIDIs and sequencing my own for fun in an early version of Cakewalk. All I've wanted to do from the start though was perform this music I loved, not just arrange, so eventually I upgraded my equipment and started my Youtube channel. It's been around for 3 years, but I wish I'd made the investment earlier! Patti Rudisill: I have only been on YouTube the past year or so, but I've been making music for most of my life – I grew up in a musical family and started playing the violin when I was 6 years old. My first arrangements were string quartets of video game music, mostly stuff from Mario RPG and Ocarina of Time! At the time, no one was doing that and I always thought it would be cool to get a group together to perform and record them, or put them online. It took me a while to get there, but now I finally have my own channel to post my string quartet renditions of classic video game music. Awesome! So it sounds like you both are interested in much more than Zelda music. What other video game music projects have you worked or performed on? Where can we find your collection of works? Kristin Naigus: Yeah! Apart from my own channel, I've been working on an extensive set of Kingdom Hearts (my favorite game series) albums in a group called Project Destati. We release re-imagined orchestrations that span the whole KH storyline, taking inspiration from similar projects that came before us like Twilight Symphony and Pokémon Reorchestrated. In addition, last summer I contributed to Multiplayer: A Tribute to Video Games, as well as the Ocarina of Time: Music for Twenty-Five Games EP. Let's see, I've also been lucky enough to get to perform with a couple of game music tours - namely Video Games Live and Final Fantasy: Distant Worlds. Patti and I were in the same orchestra for the latter about a year ago, and that's where we met! Getting to meet her and Nobuo Uematsu on the same day made for a very cool weekend, haha. Finally, in the last year I've had the huge honor of getting to perform for some actual game soundtracks! I can't properly express how exciting that has been for me. Patti Rudisill: I have actually been lucky enough to play on a number of video game soundtracks as a session player in Nashville. I recently played in the orchestra for Dragon Age: Inquisition, Ori and the Blind Forest, and Lightning Returns: Final Fantasy XIII, which were some of my favorites so far! I have also gotten to play for some of the big touring shows a few times, like The Legend of Zelda: Symphony of the Goddesses and Final Fantasy: Distant Worlds. I would love to do more of that in the future - there’s nothing quite as exciting as playing video game music live for a full audience of fans! As far as arranging and remix projects, I recently worked on a collaborative EP with Kristin for Elder-Geek.com’s video series, Twenty-Five Games for My Son. 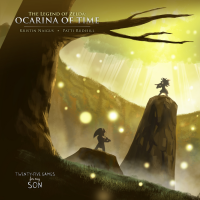 The soundtrack for the video features our arrangements of music from The Legend of Zelda: Ocarina of Time, and is available as a stand-alone album on Loudr and iTunes. I’m also currently recording a full-length album of video game music arranged for harp and strings, with harpist Paula Bressman, a frequent guest artist on my channel. The album will hopefully be available by early Spring this year! All of my video game covers are available through Loudr or my YouTube Channel. Thanks again for your time and contributing your talents! We can't wait to hear what you both do next. Once again, there will NOT be Hyrule Academy tonight, as a new season will be starting on January 30th at 10pm US Eastern! Be sure to stop back this Sunday for our 2015 State of the Station address, in which we will be outlining our goals and plans for the year! You'll be able to find it on our front page blog. The Zeldathon crew is back with another Zelda gaming marathon for charity! This is their 13th marathon over the past five years, and the team has raised over $300,000 for charities worldwide. This time, Zeldathon Relief will be raising for Direct Relief, a non-profit, non-partisan organization that provides medical assistance to people around the world who have been affected by poverty, natural disasters, and civil unrest. Direct Relief works with healthcare professionals and organizations and equips them with the essential medical supplies and equipment that they need to help people recover from disaster. Direct Relief also provides health services to people in areas that are poor and lack basic healthcare infrastructure. Check out the stream below and shout out to MC Gamer in the chat box! Tomorrow (Monday) at about 5pm US Eastern, I'll be joining the team via Skype to hang out and talk about Zelda stuff. Zeldathon Relief has concluded with a grand total over $104,000.00!! Congratulations, Zeldathon! Hey everyone! Hope you all have had a great year as we wind down the last remaining days of 2014. We don't have much to say this week, as we're preparing for our State of the Station post coming next week. This week's music update contains two new tracks from veteran guitarist/arranger TheOnlyDeerAlive. Both tracks are acoustic arrangements, featuring Ballad of the Goddess and Song of Healing themes. Enjoy! As a reminder, there will NOT be Hyrule Academy tonight, or in the coming few weeks. The 2015 season will be kicking off on January 30th, so if you've gotten behind on episodes, now is a great time to catch up! Have a happy and safe New Year's celebration! Majora's Mask has certainly been a hot topic lately, especially since the Ocarina of Time 3D release in 2011, and end-of-the-world prophecies in 2012. With Nintendo's recent announcement of the 3D-make of the classic title, it's no wonder why there's so much energy about the game. Today we're going to be talking about a fan project that has been in the works for several years now, and has been featured on Radio Hyrule in the past. Here is an update on the "Majora" project. This week, we're featuring a music artist who has been an active member of the Radio Hyrule community for several years, M. Bulteau! He is the creator and director of "Majora," a fully-fledged operatic work based on the story of Majora's Mask. I'm sure most of our listeners have already heard the fruits of his labor airing on our stream, but today we're updating many of those tracks with new versions sent to us by M. Bulteau. Some of the tracks we've added have also never been heard on Radio Hyrule before, including non-Majora tracks Castle Town Market and The Windmill. For the uninitiated, can you explain what exactly "Majora" is? MB: Majora is an opera based on The Legend of Zelda: Majora's Mask. I find this is a game full of depth. The strangeness of the setting, the urgency of the plot, and the troubles of the characters are very fitting for stage. In the opera, its musical themes are developed on originally throughout the entire narrative, making it a celebration of every aspect of the game's story and music, and a tribute to the work of Koji Kondo and Toru Minegishi. The story focuses mainly on Kafei and the retrieval of his wedding mask, which takes on a different approach due to Link's absence from Termina in this version (for canon freaks, consider timelines alternative to the child's :P). This is not made only for Zelda fans. Majora's Mask's story becomes self-contained once Link is removed, and the opera is written in a way that everyone, Zelda fan or not, gamer or not, can enjoy. How long have you spent working on "Majora," and how have you found all of the help in creating the project? MB: It's been three years since I've started writing the opera by myself. I then decided that a set number of demos was necessary to give an idea of the work's potential, so I found help to record them mostly from friends, colleagues and volunteers who liked the idea, both local and online. Aaron Kline was a great help in the visual department, for animations and VFX in some of the demos. The core musical team at this point consists of myself as the composer and base mixer, Miguel Jesus as the recording producer, final demo mixer and final score engraver, and Liam Greenough as the demo samples producer, and percussion and libretto (lyrical) advisor. They both act as general advisors on the score as well. What's the ultimate goal of "Majora?" When do you expect the project will be completed? MB: Ideally, Majora is intended to be staged. Efforts are being made to assure that. All that is in my power at this point, however, is the completion of a full-sized hardcover score of the opera. The first draft of the complete 3-hour long score will be finished before February 2015, at which point Miguel, Liam and I will begin an arduous process of revision. What sort of impact do you predict Majora's Mask 3D will have on "Majora?" Thank you so much for taking the time to answer some questions! We can't wait to see the final results of your work! MB: Thanks to Radio Hyrule and The Spinning Stream for adding my music to their stream, and my apologies to the lovers of the old versions of the demos, but they are no longer available because they clash too harshly with the intended final work. P.S: If the work gets to the heights it is aiming for, I will have no qualms with having the old demos resurface as prototypes, and as thanks to the kind volunteers who participated. Follow M. Bulteau's progress via Facebook and Twitter. We're actually looking into creating an entire sub-station separate from the remixes stream for listeners to listen to a stream entirely composed of original soundtrack music. This is just one potential feature of a super-awesome subscription service we're looking at introducing in the new year! We will share more information when the time comes! Any update on RH coming to Wii U? From our stream engineer, AAA_awright: "We're interested in supporting more devices, but as of right now, Wii U requires producing a special kind of video stream which we don't have any reliable infrastructure for. It's under development!" 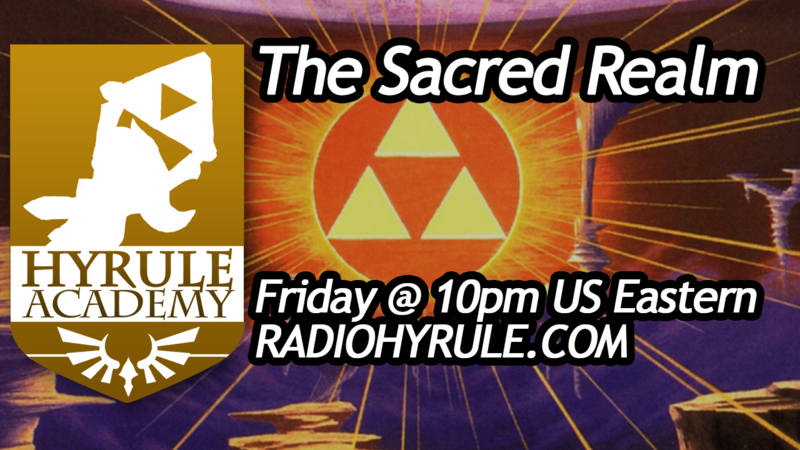 Tonight's Hyrule Academy will be 2014 season's finale! MC will be back with a brand new season starting at the end of January. 10pm US Eastern! Have a very happy winter/summer solstice celebration! We'll be back next week with even more music for you.